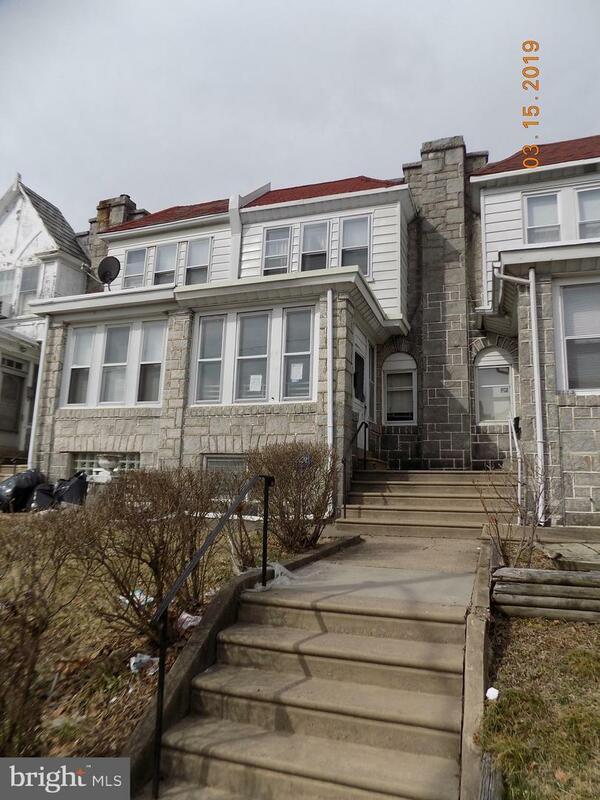 Great opportunity to obtain a large row home. Needs a bit of TLC but would make a great first home. Could be a candidate for the 203k rehab loan. Large living room and dining room. Open large kitchen. Unfinished basement with the potential for interior access to the garage. 3 bedrooms on the 2nd floor with 1 hall bath. The 3rd floor holds the 4th bedroom. Buyer responsible for any required city certifications. Buyer isresponsible for any Use & Occupancy and city/township certs. REO Bank Owned propertiesare sold As-Is. Please contact the listing agent for showing permission and instructions.Listing Broker & Seller assumes no responsibility and make no guarantees, warranties(expressed or implied) or representations as to the availability or accuracy of informationcontained herein.